The oil and gas industry has experienced a period of stress with the downturn in energy prices. This has made investments in certain areas of the business, such as training, learning and development, challenging. Last year saw some green shoots of recovery, and many in the oil and gas supply chain have a renewed sense of optimism. 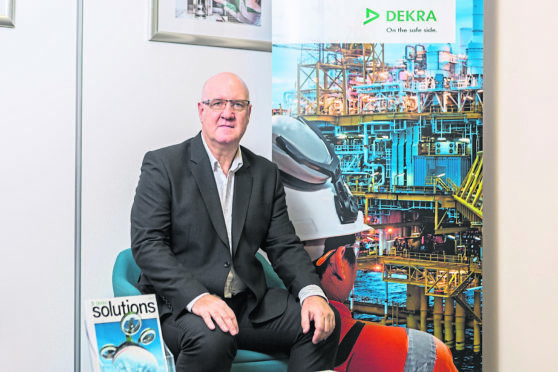 This positive outlook has spread across the industry with fresh investment opportunities in the North Sea quickly grasped by several oil and gas independents, and drilling programmes returning. This year has seen signs of this trend continuing. The largest UK gas field in more than 10 years was recently discovered, which has amplified industry-wide hope. With the oil price recovering, combined with a collective sense of optimism throughout the industry, could it be suggested that the industry is having a new lease of life? skills shortages and the likely need to supplement the existing workforce with those less experienced in the required skills and awareness of the risks of our high-hazard industry. The sector has recognised this, with many investing in increasing understanding of major accident hazards, safety coaching for leadership and workforce, and motivational workshops to improve awareness, particularly in project environments. With new investments coming into the North Sea, it is gratifying to see this investment in keeping people safe. The North Sea has good reason to be proud of its safety culture maturity, its development of leadership at all levels and its workforce engagement. We cannot be complacent. We must continue to invest in the leadership skills, hazard awareness and risk management skills that will keep our industry safe. Commitment to investing in people and creating cultures where care is expressed for people, processes, plant and equipment is vital. The oil prices of the North Sea “boom” may never be replicated but, with continued investment in people, the industry will not only be safer but more resilient, innovative and productive; all of which will lead to more investment in the North Sea.